How can acupuncture help women throughout the journey of fertility, pregnancy and postpartum? ​Acupuncture is great as a stand alone modality but it also works well in combination with other treatments. 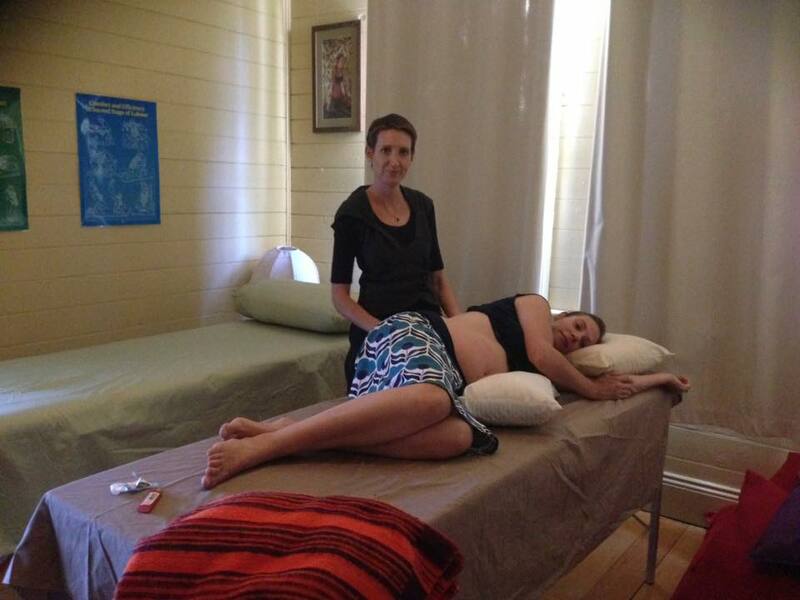 I find pregnant women are really responsive to acupuncture as they are often so energetically open during this time. Is acupuncture something people should turn to when they are having a pressing issue or is it more valuable to receive regular care? In Traditional Chinese Medicine we believe that it is much better to maintain your health rather than treat illness. If you have chronic health issues, or if you have a history of a problem in a previous pregnancy then I would encourage some regular treatment to try and prevent problems. It's usually easier to get on top of a problem at the beginning than a few months down the track. How do you support clients who are needle-phobic when they come in for acupuncture visits? I am quite gentle with my needling and approach. I use very good quality, fine needles in my treatments so the insertion is pretty comfortable. We do aim to get a 'de qi' sensation which is often a dull, achey or even itchy sensation, this generally subsides and isn't painful. Generally the anticipation is worse than the reality. Acupuncture is very effective for helping to induce labour when it’s required. This is a really strong treatment and it can take a couple of sessions to really kick start labour. I suggest starting earlier rather than later if medical induction is looking likely. What about helping turn breech babies? Yes, acupuncture can be useful for helping turn a breech baby. This is best done between 34 and 35 weeks if possible. Statistically about 50% of babies breech at 34 weeks will turn head down by the time of labour with no intervention, using moxa and acupuncture brings this up to around 75%. I generally suggest women do the moxa in conjunction with the moves on the 'spinning babies' website, to really encourage that movement. Are there any common misconceptions about acupuncture that you want to clear up? In the Northern Rivers many people are pretty open to complementary medicine and are quite savvy about their health options. One of the main issues that concerns me is that not all people who call themselves acupuncturists are actually qualified. Please make sure that you are seeing an appropriately qualified practitioner, especially during pregnancy. Some practitioners do a 2 or 4 day training course in needling and say they do acupuncture, or sometimes it is called dry needling. Registered acupuncturists do a 4 year degree. You can check practitioners registration as an Acupuncturist with AHPRA. Walk me through a typical visit with you, Elissa. What can a new client expect for their first acupuncture session? In the initial consult we spend over an hour getting a thorough history and understanding the constitution of the person. In Chinese Medicine we generally try to be holistic and treat the individual, rather than the condition. Once I have the history and information that I need we get the woman comfortable on the table. I will then usually take her pulse and then insert around 8 needles at the points I feel will most help her. I may do some moxa if that is required and then I will leave her to breath and relax and listen to some music. Most people find it pretty relaxing. Acupuncture stimulates the parasympathetic nervous system, or the rest and digest aspect of our nervous system, so most people leave feeling pretty chilled out. I work in fertility and pregnancy and I love the balance in my job. Fertility is so rewarding when women who have been struggling to conceive finally get pregnant. It can be a long and challenging journey to get there for some. Women are so responsive during pregnancy, so I love that I can get fast results and make a really big difference to how someone is experiencing their pregnancy. If a woman has been feeling anxious, sick, or in pain, it’s really rewarding to help her shift to feeling relaxed and comfortable again. And I get to see and chat about all the amazing things a body can do during pregnancy and birth, and I get excited for them about meeting their babies for the first time. Let’s face it, human babies are needy. They are born very dependent on their caregivers. They need a lot of soothing, feeding, changing and cuddling around the clock. It can come as quite a shock to new mothers, just how demanding these little beings really are. Often preparation for after the birth is neglected in maternity care. In fact, Suzanne Arms says, “Is ours not a strange culture that focuses so much attention on childbirth – virtually all of it based on anxiety and fear – and so little on the crucial time after birth, when patterns are established that will affect the individual and the family for decades?”. Media often portrays the glowing new mother with her perfect baby. We have come to idealise this time but the reality can be much more harsh. Sleep deprivation and the responsibility of caring for a new life 24/7 is taking it’s toll. 1 in every 6 women are suffering from postnatal depression and according to Julia Jones from Newborn Mothers, over 80% of mothers say they are exhausted and overwhelmed. How come this is the case? 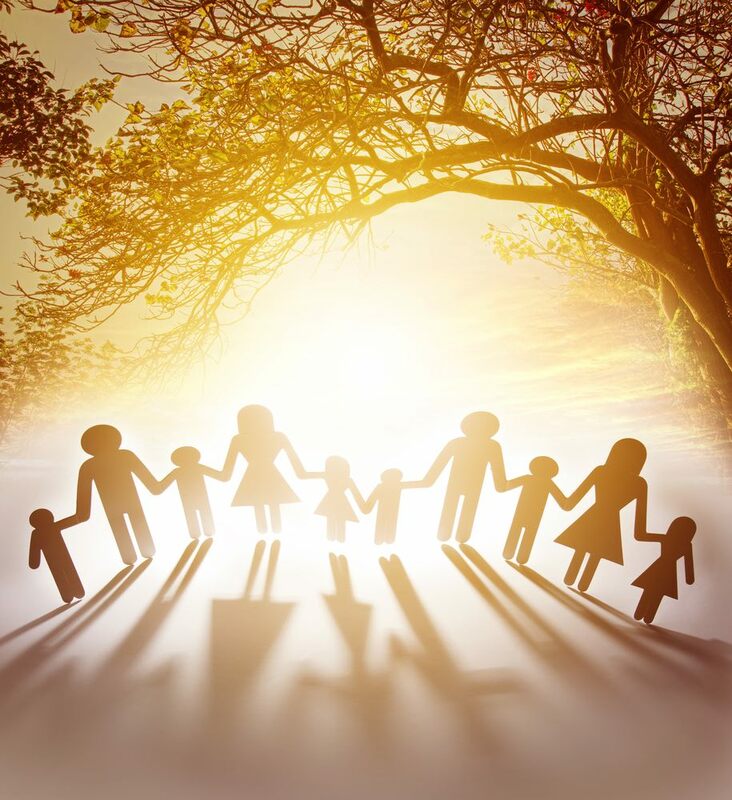 A big reason is that many people are isolated from their families and support network. Our modern lives have led us to live quite separately from each other. How many grandparents and relatives live hours away, interstate or even overseas? Or they may live close but not be very helpful. We could learn a lot from the traditional hunter/gatherer tribes who live more of a trusting, co-operative lifestyle with non-parental adults playing a big role in caregiving. The care of children is shared among many. Societies that have strong support networks in place have the lowest rates of depression. According to Jared Diamond, author of ‘The World Until Yesterday’, babies in the Pygmy tribes are nursed on demand and never left to cry more than 3 seconds. They always have an adult to attend to them and children grow up with few psychological scars with depression being virtually unheard of. Many people in modern society try to implement some of the traditional practices like skin-to-skin contact, attachment parenting, nursing on demand and co-sleeping. This constant care was traditionally shared among many adults and expecting one or even two people to do it all, is basically impossible. No wonder many mothers are feeling completely overwhelmed by new motherhood, especially if you add in other children to the mix! Remember what you enjoy doing and ask for help so you can do this. Examples include; get a massage, do some yoga, go for a walk, pick some flowers. Continue to check in- how are you going? Do you have enough support? Can I get you anything? Kirrah Stewart provides pregnancy, birth and postpartum support in the Northern Rivers. She facilitates Birthing From Within antenatal classes, gives nurturing pregnancy and new-mama massages and provides placenta encapsulation services. If you are pregnant and living in the Northern Rivers area, pop your name in the draw to win a pregnancy massage (entry form is located below or in the side bar). Being book smart is helpful but real life experience is priceless. With ten years of wisdom gained through supporting women birth, I've got a few tips I'd love to share to help you stay calm and have confidence in the flow of birth. 2. Each birth is different. The journey to bring a baby into the world is different for each woman and also differs with each pregnancy. Some women have long labours and some women have short ones. Each baby is different and they play a big role in the experience of birthing them. It’s good to remember to be open to all possibilities. If a labour was short last time, it doesn’t mean it will be short the next time (and vice versa). Usually births get a bit quicker with subsequent babies, but not always. Don’t place any pressure on the mama (and encourage her to not place high expectations on herself either). ​3. Oxytocin ‘the love hormone’ is shy. When women feel observed, labour often slows and can even stop. For the right concoction of birthing hormones to be released, women need to feel safe and have privacy. Loving touch, massage, warmth, dim lights and caring support will assist oxytocin to be released and the labour to progress. Sometimes this just takes time. Telling a birth woman she needs to ‘hurry up’ or that she needs to progress faster, usually has the opposite effect of slowing things down. 4. There are alternatives to syntocinon (the synthetic hormone). I’ve lost count of the number of times my clients have effectively used homeopathic caulophyllum and avoided the use of synthetic hormones. Homeopathic caulophyllum encourages stronger contractions without the side effects that syntocinon can have. 5. Counter pressure is amazing. Women’s hips are very flexible, especially in labour. It can feel incredible to have counter pressure like sacral acupressure and hip squeezing. It can also assist the mothers pelvis to open even more. 6. Positions matter. The baby’s position in the pelvis makes a big difference to how smoothly birth can unfold. If the baby is having trouble getting into an ideal position, then the mothers movements can make all the difference. Being active helps the hips to make different shapes and this helps the baby to get into the best position for birth. I highly recommend that every birthing woman know about ‘Spinning Babies’ so they can learn different movements in pregnancy and know what positions are helpful in birth. ​7. Vocalising is helpful. Society tells us a lot about what women ‘should’ do. It’s interesting that many people correlate being ‘in-control’ with being quiet. Yet, birth workers know, making sounds can be very helpful. Vocalising can give a focus and help dissipate pain. Deep sounds help soften and open the body (versus high pitched sounds that tend to tighten and clench the perineum). When it comes time to push, try sending that sound down and out or internalize it and use that focus and energy to breathe the baby out. It makes a big difference. ​Go in the draw to win a pregnancy massage by popping your email in the side bar box. This is open to pregnant women in the northern rivers area with a new winner drawn monthly. A simple yet beautiful drawing created by a 5 year old girl has been seen by nearly 500 000 people around the world. I wasn’t expecting such a fantastic response when I shared it on my Traditional Wisdom Facebook page but the comments are all really positive. Most people find it amusing and many agree that this depiction of birth is very helpful for normalising birth in our culture. A few themes started to emerge through the thousands of comments flooding in. It brought up the current culture around birth, active and upright birth positions, siblings at birth and what we are teaching our children. 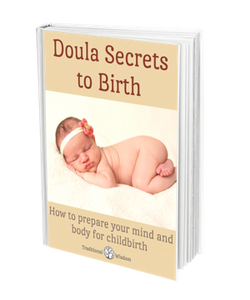 Doula’s of France said that this is a “powerful transmission from mother to daughter”. Georgia's perspective of birth is so natural and simple. Comments came from all over the world with the most popular languages being; English, Spanish, Portugese, French, German, Slovenian and Hebrew. It made me ponder what birth in other cultures looks like too. ‘Midwives first’ said “contrary to what many people might think, birth doesn't have to be scary or traumatizing, it can be a beautiful natural part of life.” A portugese commentor said she loves that this child has escaped from the current collective unconscious about childbirth. Many birth depictions are of a woman lying flat on her back being surrounded by doctors and medical equipment. Some parents are more open than others when sharing the details of how babies are made and where they come from. A Portugese follower said “We're all born. Why not face the naturalness of the act? Birth is a natural phenomenon and should be explained as such” and others agreed with this. The more we can normalise (even celebrate) birth, the more confidence our young ones will have when it comes time for them to be birthing. People commended the mother for teaching her daughter about the beauty and power of birth in all it’s glory. This is a great position for birth! 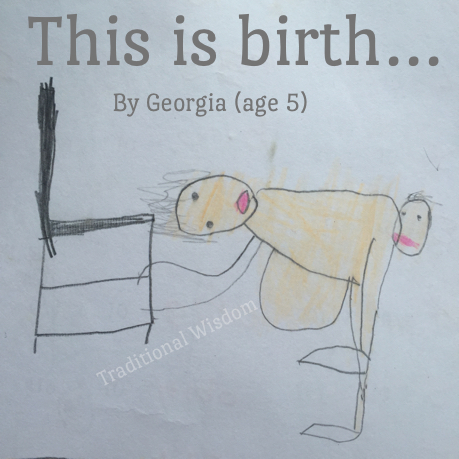 Georgia’s drawing is an awesome representation of natural birth and in particular active birth. One of my favourite birth workers, Gail Tully, said maternal position works wonders for helping babies come out! Another commentor said “This is such a positive contrast to how birth is often portrayed.” It opened up conversation about women giving birth in upright positions - standing, squatting, kneeling, hands and knees and the use of birth stools. What about siblings attending births? Many people agreed that preparing your children for birth and welcoming them into the birth space provides a great opportunity to normalise birth at a young age. ‘Just Birth’ said “children aren't frightened of birth, it's adults that destroy the beauty and miracle of birth for them. You should try to normalise birth for your children, every chance you can’. ‘Full spectrum midwifery’ said watching a sibling being born can really shape a child's understanding of the normalcy and power of birth. Some women shared that they understand birth because they have seen their mother birth their siblings so they ‘really get it’. Future generations will have more options. They believe that movement in labour works, because they've seen it at their siblings birth. Others reminisce on their own birth with children present: “When I was in labour with my youngest, my oldest was looking to see if he could see her head!” In fact some children are disappointed when their mums birth in the middle of the night without waking them. One mother shared, “My daughter squealed with delight meeting her younger sister, and then immediately started crying, "but I wanted to be there when she came out!". Another mother shared that allowing her kids to watch her birth deepened the connection they have with their baby brother. Now it makes me wonder... How would the little ones in your life draw birth? ​Kirrah Holborn provides pregnancy, birth and postpartum support in Lismore and all over the Northern Rivers. She facilitates Birthing From Within antenatal classes, gives nurturing pregnancy massages and provides placenta encapsulation services. Pop your name in the draw to win a free pregnancy massage with me (entry form in right side bar). Pregnancy usually lasts around 9-10 months and in that time, much can be done to physically prepare for the opening needed for birth. Our modern lifestyles often mean we are doing a lot of sitting down (driving cars, sitting at a computer, watching tv etc) and this can cause tight muscles and ligaments and can lead to the baby settling into a less than ideal position in the womb. With a little planning and an understanding of the way our bodies work, we can do a lot to help our bodies open and soften enabling labour to be shorter and easier! Humans have been giving birth for thousands of years. Our bodies have an innate wisdom. We don’t have to think about growing a baby’s heart, lungs and limbs and yet it happens. As the pregnancy progresses, women’s bodies naturally prepare for birth by softening the hips and loosening ligaments. ​Sometimes, our bodies are tight on one side and too loose on the other. 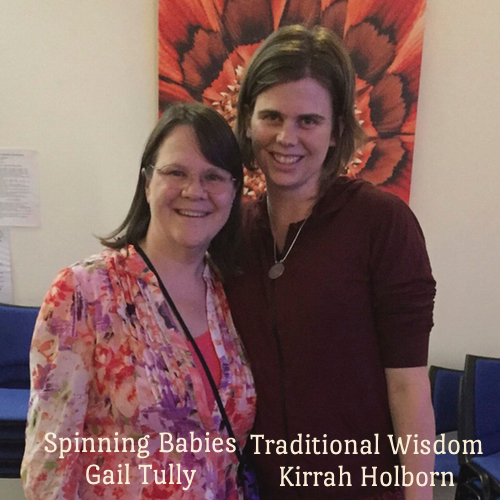 Gail Tully from Spinning Babies is passionate about teaching parents how to bring balance to your body to help birth progress more smoothly. 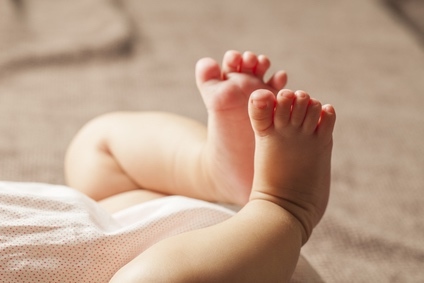 You can learn about daily exercises that can help tight muscles to lengthen and soften and ultimately make more space for the baby to rotate and move through your pelvis. 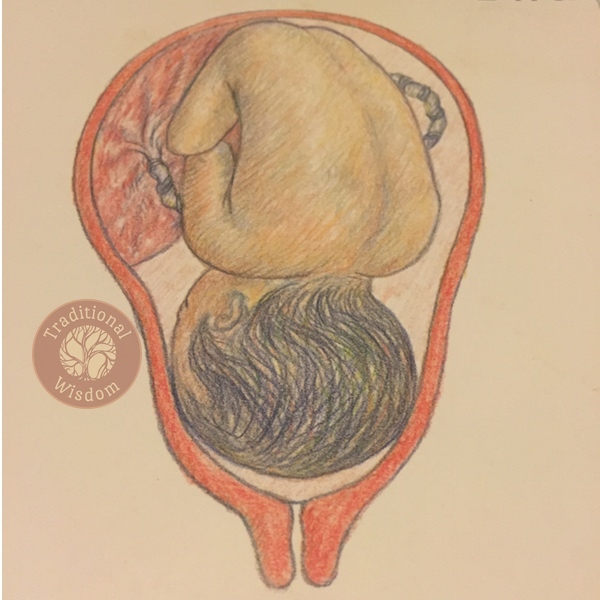 There is a wealth of knowledge on the website www.spinningbabies.com about the anatomy of your pelvis, babys’ positioning and how to bring more balance to your body in preparation for birth. Did you know babies need to rotate to fit through the pelvis? When I teach antenatal classes, many parents-to-be are surprised to learn that babies have quite the journey to make from womb to world. The mother needs to dilate her cervix, and the baby has to navigate her womb and rotate head, shoulders and body through some bony landmarks in her pelvis. The most ideal position for the baby to be in is head down with their back towards the mothers left side or front. This position helps the baby to settle into the pelvis and means there is less rotation needed to fit through. It’s helpful if the baby has his/her chin tucked as this makes the head seem smaller and it makes it easier to rotate and descend. What kind of activities are good to help fetal positioning? Being aware of your posture is helpful at any time in your pregnancy but becomes more crucial as baby gets bigger. Gail Tully says her ‘observations show that by 31 weeks, most first-time babies are in position’. The best idea is to stay active in your pregnancy and include daily walks, yoga, squatting and getting professional bodywork (chiropractics, osteopathy, craniosacral therapy and massage) into your self care. ​Also, make yourself comfortable when you sleep by using pillows to support your knee and ankle and help your hips to stay balanced. Also, it’s good if partners/friends can learn some massage skills to help release tension in your hips and buttocks. I absolutely love the ‘daily essentials’ downloadable yoga sequence from the Spinning Babies website. It has great suggestions for bringing balance to your body and mind during pregnancy. Kirrah Holborn provides pregnancy, birth and postpartum support in the Northern Rivers. She facilitates Birthing From Within antenatal classes, gives nurturing pregnancy massages and provides placenta encapsulation services. 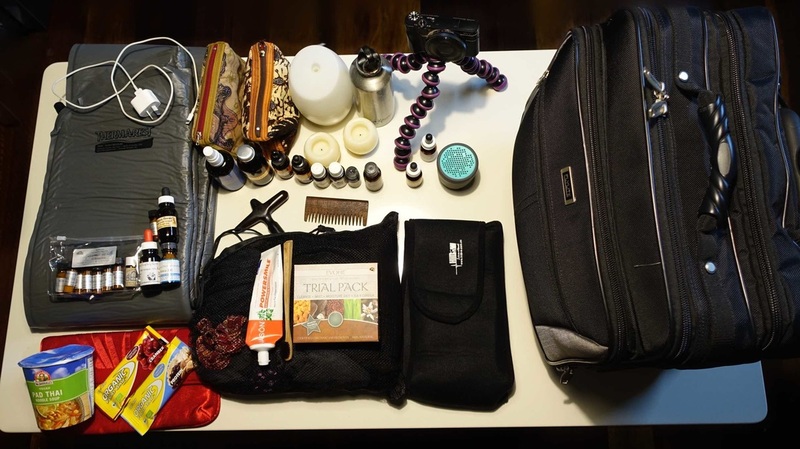 I’ve had a few people wonder what goodies, remedies and tools a doula might take to a birth so I thought I’d take a little stocktake and let you know what’s in my doula bag! The first thing I’ll say is that it’s good to find a suitable bag with as many compartments as possible. I’ve had a few over the years but my current favourite is the flylite ‘mobile office’. It has 3 separate compartments and lots of pockets and zips perfect for keeping everything organized! It is also on wheels making it easy to stop and support a mama having contractions before walking on. I’m a masseuse, so it’s important to me to make sure I take oil. I like a light oil like macadamia and camelia tea and then I add ‘birth oils’ to this. Some good ones are lavender and clary sage essential oil. This helps the labouring mama to relax and the clary sage can help stimulate contractions. I also carry some heat packs to provide comfort and sometimes a TENS machine is helpful. Speaking of smells, I carry a diffuser too. I like the lively living ‘aroma joy’. It’s nice and portable and you can set it to have a nice red glow helping add nice lighting and awesome smells to the labour room. Again, lavender and clary sage essential oil are 2 of my favourites. I may add some mandarin essential oil for freshness. Getting back to touch; I carry acupressure tools to help stimulate some points if needed. I have been given an awesome pointed wooden tool that is great if my thumbs or fingers are feeling worn out. I carry a wooden comb too so that mums can grab onto this and stimulate some pain-relieving points and help release endorphins. I recommend Debra Betts acupressure booklet if you’re just learning. Some favourites that I use are: GB-21 which can stimulate contractions and has a descending action, BL-32 helps produce a nice anaesthetising effect and helps the mama cope with the contractions better, KID-1 can be deeply relaxing, L.I-4 can help provide general pain relief and also stimulate contractions, BL-60 can help the baby to descend and SP-6 is magical for helping the cervix to dilate (it can also help after the baby is born to lessen the pain of ‘after pains’). One of my favourite things in my bag is my ‘boom swimmer’ bluetooth speaker. It is waterproof, dust and shock proof with a rechargeable battery that seems to last forever. I use it all the time! I highly recommend this as a portable music player. You can bluetooth to an ipod or iphone (or anything) and play your specially selected music. I love ‘Pandora’ which is like your own radio station where it suggests artists you might like. I enter ‘Deva Premal’ or 'Anugama' into my station and it goes from there with awesome relaxing music for birth. Dim lighting is good for births and most people love the calming effect of candles. If you’re birthing in a place that doesn’t allow flames then LED candles can come in handy! I take a few to add atmosphere. I have a selection of homeopathic’s that I may pull out if indicated. I have a degree in clinical science (majoring in complementary medicine) so I feel confident in recommending when the time is right. Ask your local naturopath or homeopath for some good ones to put in your labour bag. Most people have heard of arnica and this is a good one for any household to have! It is very useful for helping reduce bruising and swelling (and can also help with afterpains). It is also good to carry your flower essence of choice to help with anxiety or stress (like rescue remedy, emergency essence or crisis relief). I carry a rebozo (mexican shawl) with me almost everywhere these days. It is helpful during prenatal visits and great for labours. I use it to help the mother to relax and the baby to be in a good position. It also makes a great shawl if I get cold or need to have a nap at a long labour. Speaking of which, I now carry a ‘thermarest’ self inflating mattress in my bag so that if I’m at a long labour and need to recharge, I have something soft to nap on. It’s good for doing yoga on too! I have the ‘trail scout’ regular size (if you’re curious!). I take my camera everywhere I go too. This is important for capturing those moments during labour when the mama looks like a goddess and of course when she is meeting her baby for the first time. I also do ‘post natal ceremonies’ for new mothers where they have a herbal bath with their baby and these precious moments can be remembered forever with a good photo. I use the Sony Rx100 III which is excellent in low-lighting situations (ie; birth!). I refuse to use flash at such a time so it’s imperative my camera will hold up to the job. It is very customizable for manual operating. As the length of a labour is unpredictable, it’s good to have a spare change of clothes, toiletries (tooth brush and deodorant etc), snacks to keep you going and chargers for your camera, phone etc. Some of the best ‘tools’ I have are my hands and voice and calm presence from years of experience. I feel honoured when I am welcomed to a birth; the creation or expansion of a family is one of the most precious moments imaginable. Kirrah is a doula, pregnancy masseuse, childbirth educator and placenta encapsulator helping women and families in the northern rivers area. 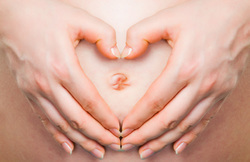 I'm giving you the chance to win a prenatal massage for mothers day! All you have to do is sign up for my awesome 'Nurture your Pregnancy' newsletter. 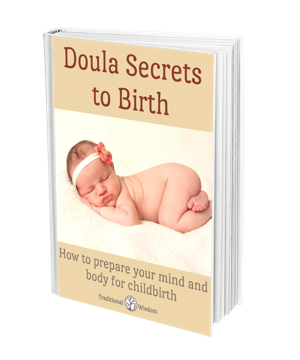 It is sent out about once a month and has many inspiring tips for nurturing yourself and preparing for natural birth. Yay! What helps a baby in, can help a baby out! Think dim lights, warm room, quietness or soothing music, private, intimate and relaxing… These are the things that help the love hormone flow! Oxytocin (aka 'the love hormone') is a shy hormone that needs privacy in order to be released efficiently. Oxytocin is involved with love-making and birthing. Why is it important to be warm? A warm environment means the mother is more likely to relax. We tend to clench up when we are cold. Being cold also releases adrenalin and this can slow down labour. Warmth is very important after the baby is born as well. It helps oxytocin to be released so the placenta can be safely birthed. Loving touch and massage is also wonderful for helping the labouring woman to relax, let go of tension and release oxytocin. Practice in pregnancy to find out what you like. Usually massage on the lower back and also the shoulders feels great and helps you focus on positive sensations. Low lighting encourages the hormones oxytocin and endorphins to be released. These hormones are very important in natural birth. Being in a dimly lit room allows you to focus inwards and go within during contractions. It creates a relaxing space that isn’t too over stimulating. Make your space smell lovely! Aromatherapy can really enhance the labour environment. Good smells can be relaxing and some oils like clary sage can actually help your uterus to contract. Aromatherapy used in a diffuser or in a massage oil can really transform your head space and the birthing environment. Citrus oils sprayed around the room can act as a ‘pick-me-up’ and can be refreshing and give you energy. Try to find some music like what you may listen to in a yoga class or when having a massage. Some of the artists that are on my birthing playlist are: Deva Premal, AesDana, Ayla Nereo, Chillosophy, Cool and Nina Lee. Other music like belly dance music can be good if you feel like moving and dancing in labour (this is great for helping the baby into a good position too!). Some women like to have many people to support them during labour. Whereas other women may prefer just their partner/doula/midwife to be present. It's good that the people that have been invited to your birth know about honouring the birthing space and know their role. The last thing a labouring woman wants is to feel 'watched'. People that are positive and helpful can make all the difference. Labour is more effective and is usually shorter when women feel safe. This has to do with the hormones again. If we feel fearful or worried, then we release adrenalin (the fight or flight hormone) and this sends blood to the arms and legs so we can run away from danger or fight. This means blood is transported away from the uterus. The uterus is a muscle and it needs a good supply of oxygen and blood in order to be able to contract effectively during labour. If there is fear, this can't happen. Fear creates tension in the body and this tension can create unnecessary pain (this is turn can create more fear and so the cycle continues in a negative feedback loop). Labour is more likely to progress smoothly if a woman feels safe and undisturbed. Adrenalin will slow or stop labour until the danger passes or the woman feels safe again. Actually no. Hospital birthing rooms are usually brightly lit so that midwives and doctors can see what they are doing. They are air conditioned which can cause chills and they can often be noisy or have unfamiliar people and smells. Some midwives are sensitive to creating a conducive environment for birth so they will dim the lights and push the bed aside and encourage you to be active if that's what you want. It’s ok to ask for what you want. Creating a birthing space that is private, dimly lit and warm helps the birthing hormones to be released effectively so that labour and birth can be safer for both you and your baby. Grab your free copy of my eBook below! The placenta contains many beneficial hormones and nutrients and helps the mother to have a smoother and easier postpartum experience. Consuming your placenta can help balance out hormones, reduce the chance of baby blues, help prevent post-partum depression, boost iron levels, reduce postpartum bleeding, increase milk supply, increase energy levels, help with mother-baby bonding and help the mother feel calmer and more balanced. Having your placenta turned into capsules can be done quite soon after birth, making it easy to take and is very nourishing for those precious postpartum weeks. What nutrients are in the placenta? 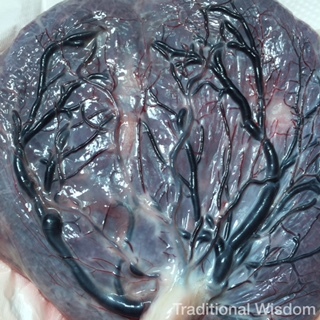 According to www.placentawise.com the placenta contains estrogen (that helps with breast feeding, regulating postpartum moods, helps the uterus to contract back to pre-pregnancy size, decreases depression and normalises libido). It also contains Prolactin (helping with lactation and enhancing mother-baby bonding), Oxytocin (helps decrease pain, increase bonding, reduce bleeding and stabilises moods) and Placental Opioid-Enhancing factor (helps the release of endorphins, reduces pain and increases a sense of well being). It also contains Thyroid Stimulating Hormone (helps boost energy and aid recovering from stress), Corticotropin Releasing Hormone (helps prevent post partum depression), Cortisone (reduces inflammation and promotes healing), Interferon (helps stimulate the immune system), Iron (increases energy and decreases anemia/fatigue), Urokinase Inhibiting Factor and Factor XIII (reduces bleeding and enhances wound healing), Immunoglobulin G (supports the immune system) and Human Placental Lactogen (this hormone helps promote growth of the mammary glands in preparation for lactation in the mother. It also regulates maternal glucose, protein, and fat levels). If you plan to consumer your placenta, it needs to be birthed onto a clean surface and then put into a clean leak-proof container and put into the fridge or on ice in an esky within 3-4 hours of birth. It’s best to refrigerate as soon as possible. Ideally the placenta is processed within 24-48 hours from birth so you can start to enjoy the benefits before your milk comes in around day 3-5. What is the process to turn the placenta into capsules? The placenta is first rinsed gently to remove blood clots. The umbilical cord is then removed (and can be shaped and dried as a keepsake for the child). The placenta can be left raw or steamed first as per the Traditional Chinese Medicine method. Once gently steamed on both sides, it is then sliced thinly and dehydrated at around 40-45C in a dehydrator. It is then ground and the powder is placed into capsules. It is usually returned to the mother within 24-48 hours of the birth. What are the differences between TCM and raw? 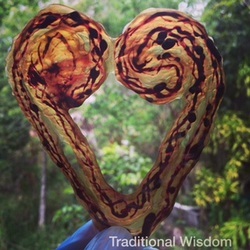 The main difference is that the TCM method involves steaming the placenta before dehydrating. According to TCM theory, giving birth is very cooling so the mother needs to be warmed to help with recovery. By steaming the placenta with lemon, chilli and ginger it helps the placenta to become a warming, nourishing and tonifying supplement. Steaming also kills off any surface bacteria that the placenta may have been exposed to during the birth process. It’s important to note that here may be a loss of B vitamins during the steaming process. For those that are undecided, I recommend the TCM preparation as it is warming and nourishing and can safely be taken for a longer period of time. It is the most popular method used around the world. For those wanting an instant boost straight after birth, raw placenta can be used in smoothies to help reduce blood loss and replenish lost nutrients. But, the TCM method method is better suited to long term use. The placenta powder is encased in a vegetable capsule so there is no taste. It’s just like taking any other herb or vitamin pill. I use vegetarian capsules made from cellulose. They are preservative free and gluten free. 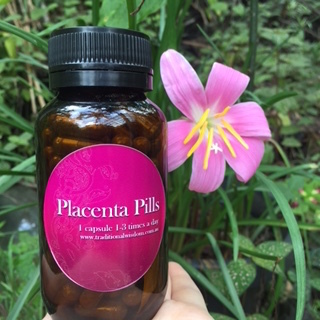 The capsules contain 100% placenta and nothing else is added. 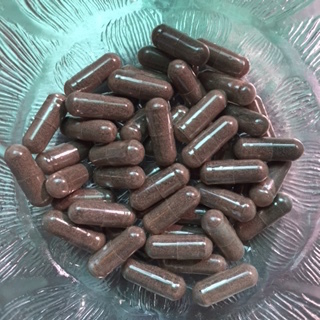 An average sized placenta yields around 120-150 capsules. The amount can vary from 100-250 capsules from one placenta. What does a placenta homeopathic help with? A homeopathic remedy can be made from a small piece of placenta. It is considered a constitutional remedy for the baby throughout her/his life. It helps with immunity and bringing balance through times of change. Can I still bury some placenta if I want? Yes! if you would like to bury some of your placenta, a small section can be removed so you can have a ceremony and plant it under a tree. Healthy pregnant women living in the lismore region now have more options for antenatal care and birthing! 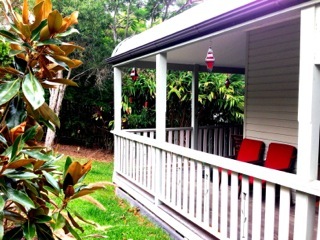 The Birth House is a private little oasis located less than five minutes to Lismore Base Hospital. It’s a holistic midwifery service that addresses the different aspects that influence womens health and wellbeing. It helps support her to nurture herself and grow and birth a healthy baby! The Birth House was established by registered midwife, Bronwyn Moir with the vision to create a sense of community around the sacred period of preconception, pregnancy, birth and parenting. The first thing you’ll notice when you arrive is how easy it is to park right outside! It’s a home-like setting so automatically women and families relax when they walk in the door and are greeted by the smiling face of Bron. There are no waiting times and you can choose to have long sessions with your midwife. The Birth House offers all the usual checks but with the added bonus of other holistic services and completely individualized care. Bron offers full pregnancy care from 12 weeks gestation (at least 10 visits), any required blood tests and ultrasound referrals and full access to The Birth House pregnancy group and classes (unlimited visits during pregnancy & up to 6 weeks post birth). Added bonuses include pregnancy massages and the 2-day Birthing From Within Birth Warrior course that will help the mother and her support team deeply prepare for birth. There are 4 registered midwives working at the birth house: Bronwyn Moir, Bree Daley-Forsyth, Nat Gray and Genna Colgate. 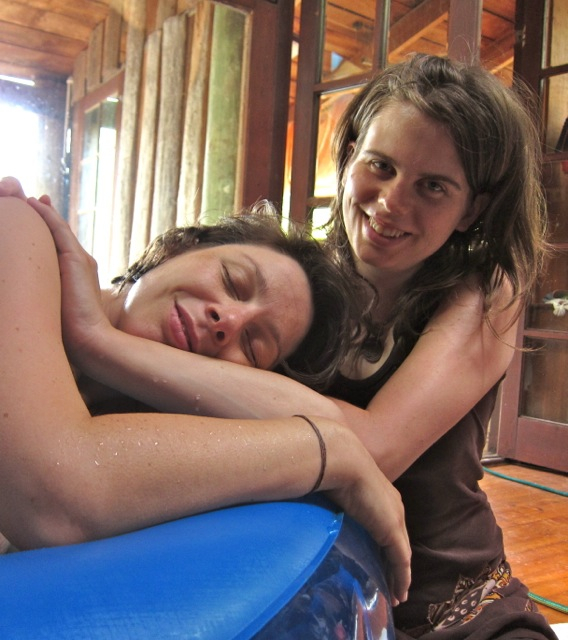 They share a similar philosophy about birth and are passionate about providing holistic and nurturing support. All the midwives also work at Lismore Base Hospital and have a good working relationship with the other staff at LBH (this is handy if there’s a transfer needed). 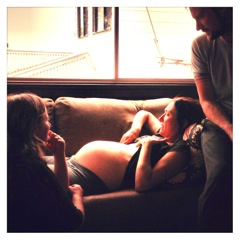 I also work at The Birth House as a doula and Birthing From Within childbirth educator. The midwives and doula’s are also involved in the antenatal groups so women get to know their care providers during their pregnancy so they feel completely comfortable with them when it comes time to birth. The weekly pregnancy groups provide the perfect opportunity to meet other like-minded people and to ask all those niggling questions that pop up. Friendships develop and this means there are support networks in place for after your new baby arrives. Each week a new topic is discussed and you can delve into everything pregnancy, birth and parenting related. There are a range of other holistic services offered. These include; nutritional advice, herbal remedies, pregnancy massage, access to our extensive lending library of pregnancy, birth and parenting books and DVD’s, antenatal classes and Kirrah also provides placenta encapsulation for the Birth House women. Women can come to the Birth House in early labour (unlike the hospital where women may be sent home). The surroundings are very comfortable and there’s a midwife on-call 24/7. The birth rooms are set up to facilitate active birth which encourages women to follow their instinctual movements. Things on offer to help are rebozo’s, TENS machine, birth balls, birth pools, aromatherapy, homeopathy and their own private bathroom (hot shower and bath etc). There is a focus on natural support and physiological birth. The Birth House creates an environment that maximizes the release of oxytocin- it’s private, dark and warm. That is so important for healthy birthing and bonding! 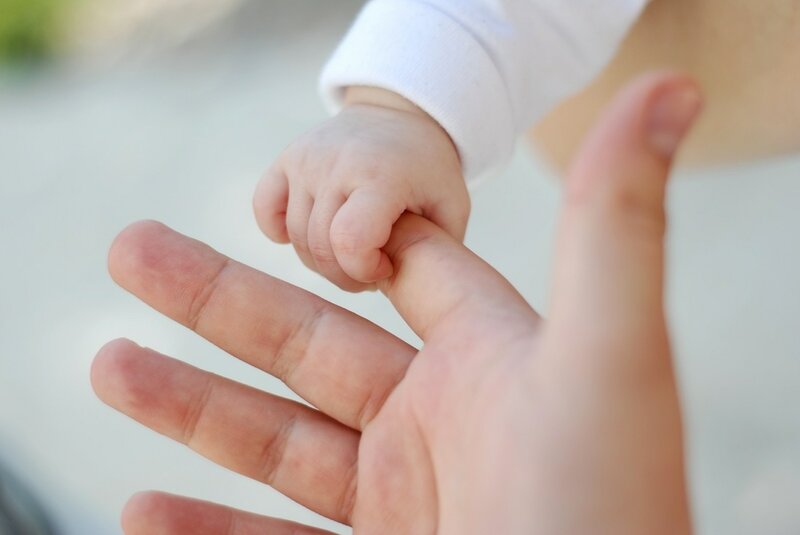 After baby arrives, there is a slow transition for the family where they can get to know each other and have time for bonding and breastfeeding. There is no rush to get you out of the room. You can stay as long as you want. After birth, the midwives help clean up and provide a nurturing meal. Couples can then go home or stay overnight- whatever they wish. The post natal visits happen in the families own home. Bronwyn invites any woman at any gestation to come and check out the Birth House by coming to one of the pregnancy group sessions held each Saturday from 9.30am-12.30pm. So you can be catered for, it’s important to book in for this session (it costs only $20/class). The Birth House is located on Leycester Street in Lismore. To find out more visit: www.holisticmidwifery.com.au or phone Bron on 0425 335 414. Payment plans are available so give Bron a call to discuss your individual options!